Since 2013. 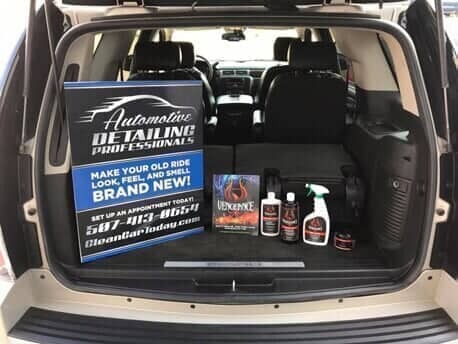 Automotive Detailing Professionals has been owned and operated by a local family and dedicated to 100% customer satisfaction! 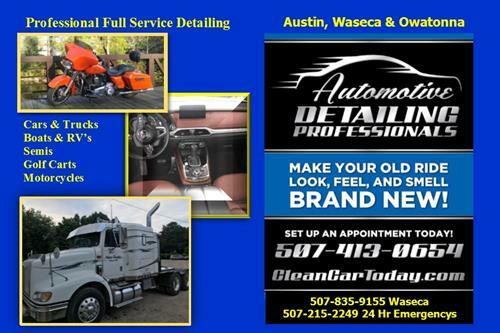 With offices in Austin, Owatonna, and now the new 3500 sq ft facility in Waseca, Automotive Detailing Professionals has become the "South of the Twin Cities" leader in detailing! At ADP we don't use a single product or procedure WITHOUT first attending official training at the manufactures facility or by trained factory representatives whenever possible . We are a FULL SERVICE Detailing shop with both package offerings and an Ala' cart menu to fit all needs and budgets. 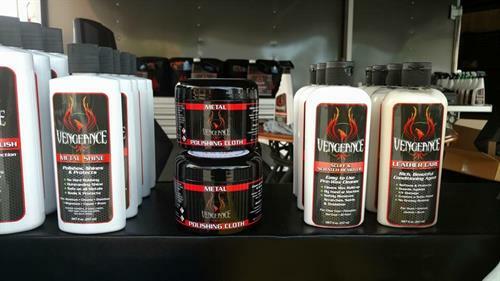 From the high tech ceramic coating to headlight reforestation (with an industry destroying two year warranty), we can serve all of your needs for Boats, Motorcycles, Jet Skis, Side-by-sides, cars, fleet vehicles, farm implements and more! What a GREAT Gift Idea for not only the Christmas Season, but for Birthdays, Anniversaries, Weddings and more!